I didn’t start reading superhero comics until the 1990s. In fact, I didn’t get interested in superheroes at all until after the animated series for The X-Men and Batman. I vaguely recall the Superfriends cartoon (and notice that I make a difference in calling it a cartoon), but if you remember it or have ever seen it, then you’ll probably understand why it didn’t really inspire me to care about superheroes. I was a country girl without regular access to a comic book store, or any store for that matter, so I had no way to pick up floppies until I could start driving. Before then, it was our family’s trips to Waldenbooks (oh how I miss you!) that allowed me to peruse their scant collection of floppies. And the 1990s was before the rise of the trade collections in the various superhero universes. My first real experience with floppies was scouring antique stores to find all of the issues that detailed the first clash between Bane and Batman — a series I still own to this day, even as I’ve sold off most of everything else, which included an X-Men 1990s-2000s collection, and a collection of the first year of The X-Files comic from Topps. Which is all to say that I’ve haven’t read many of the comics from the 1980s or earlier, with my acquaintance with any decade’s output exponentially diminishing the further back in time they go. My familiarity is with the Modern Age of comics, and not the Golden, Silver or Bronze Ages. So whenever I do foray into those olden years, I always have the same question: what the hell was going on? Two things in particular stand out to me when I read earlier comics: the content and how you read them. 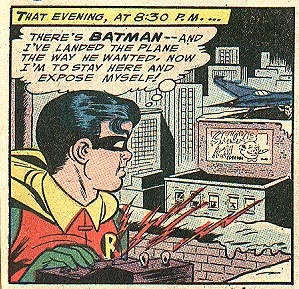 And the further back in time you go, the weirder both seem when compared to the modern comics sensibilities. What we see in these examples are two things. First, you have the writing style of the earlier comics being vastly different than the writing style of modern comics. 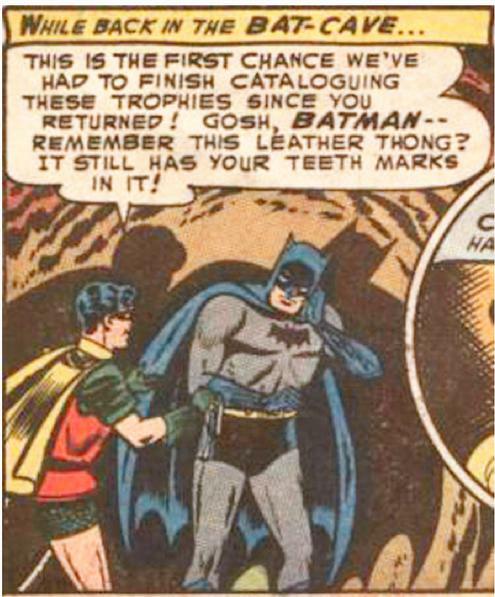 The language used was different, from exclamations like “great Caesar’s ghost!” or the famous “holy anything, Batman!” reflecting the lack of any type of curse words or potentially scandalous slang. These comics came from an era in which comics producers were still abiding by the Comics Code Authority, instituted in 1954 as a response to the (faulty and false) allegations from Fredric Wertham about the corruption of the youth of the day by comic books. The content, and thus language or writing, found in comics had to be more “wholesome”, which meant you had some truly bizarre fantastical stories with language that sounded more like Theodore “Beaver” Cleaver than any flesh-and-blood real life boy. 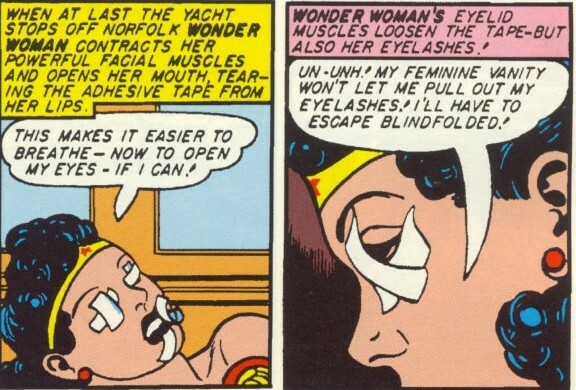 But there is another reason that I find early comics so weird to read, and it relates to their writing techniques. As artist and analyst Scott McCloud has pointed out in his book, Understanding Comics, when we read comics, we are reading the panels and then making inferences between them in the “white space” that borders panels. The content of the panels gives us information about what is going on in a particular segment of time-space, and each segment can be different from one another, anywhere from a few seconds and a few feet to eons and parsecs. The panels give us the gist of what is happening in the story, but it is up to us to fill in the white space with our ideas about what happens between these segments of time-space. To do so is to learn how to do so: it is to develop the skills to read panels based narratives just as much as one develops the skills to read a text based narrative. Which means that the less familiar you are with how to read a comic book, then perhaps the more help you need to do so. This help can come from people who have had more experience than you, or it can come from the comic book itself, in the way that the content is given. In earlier comic books, we find examples of the authors providing this help, through the ways their characters spoke, to each other and to themselves, and through the use of an omnipresent and omniscient narrator. 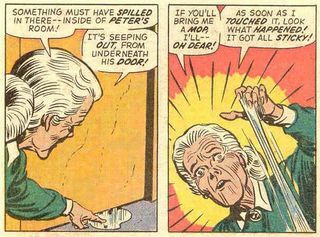 Some of the out of context panels we find funny now are funny because much of what the characters say or think in the panel is there to provide the reader with information that the reader may not have inferred from reading previous panels or even that very panel. Characters provided a lot more exposition in the past than they do now. And if characters didn’t provide it, then it was up to the narrator to help us understand what is going on, where it is going on, and when it is occurring. 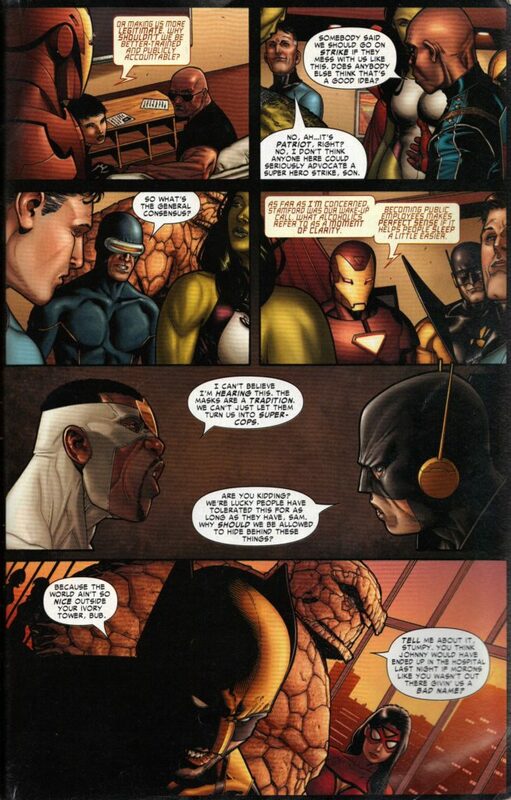 Take for example the different uses of such narration from three time periods in Marvel comics, and how the narrator, who is not one of the characters, provides insight into what was happening or what the characters were thinking. 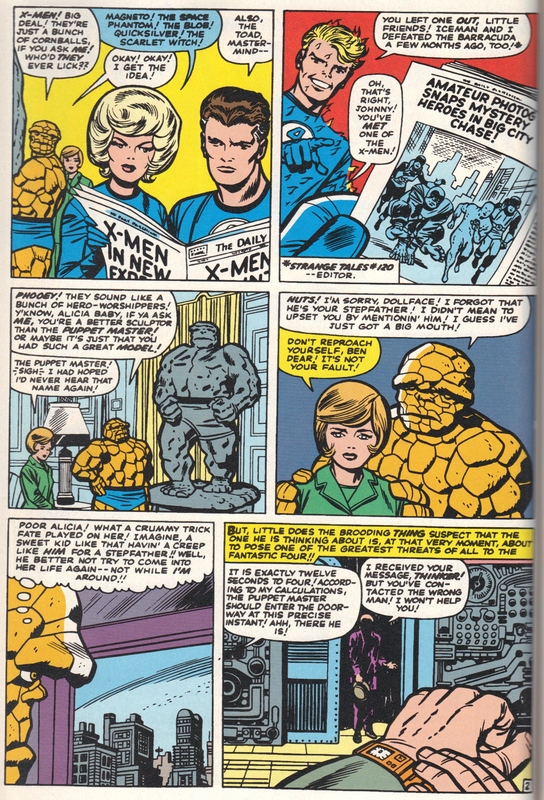 For the Fantastic Four, the narrator provides information that increases the suspense for the reader. 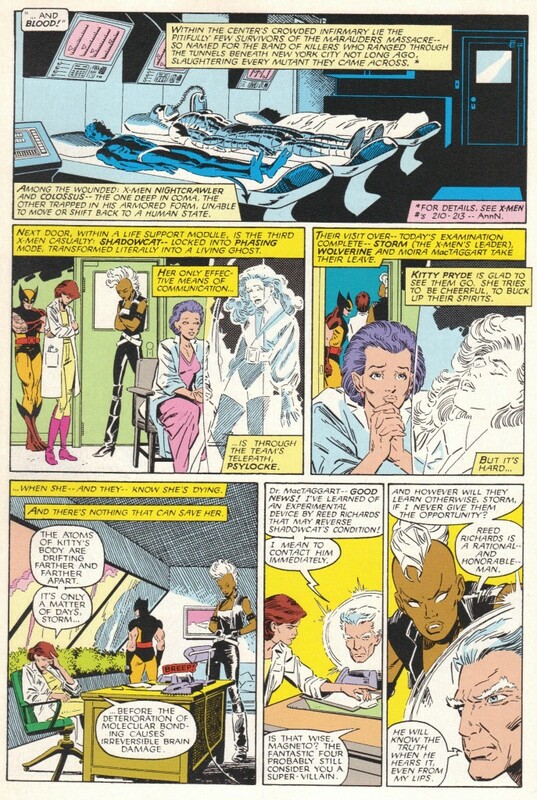 For the X-Men, the narrator provides information as to what different characters are thinking and feeling, helping to create empathy for the reader. For the Avengers, the narrator has disappeared, allowing their dialogue and the visuals to demonstrate the drama of the situation. Now, all of these have different authors, and there is something to be said for different authors having different writing styles. But these examples are also illustrations of the general trend in comics over the past six decades. Increasingly the narrator has disappeared from comics pages; also disappearing is the preponderance of dialogue between characters or character’s inner monologue that explain what is going on. The focus has been increasingly placed on the visuals of comic books, relying on character expressions or film style composition to relay information that previously would have required narrators, dialogue or monologue. The lack of such text-based exposition tools perhaps also highlights that authors believe comic book readers are literate enough to understand what is happening without having to so explicitly tell them. Many of these modern comic books are being written for fans who have grown up reading comic books, and so they know the techniques for telling stories through panels: they have the skills to read the visuals and do not need the hand-holding provided for by the text-based exposition tools. However, this means many of today’s comics are not being written for a younger audience who many not be as skilled. While there are still titles out there catering to a younger audience, such as the Disney titles or the ever-present Archie comics, many of today’s kids really like the superheroes they see in the movies and on television. But it would be hard for a child to pick up a copy of today’s Avengers, X-Men or Batman and make sense of it: because of the language used, the framing of the narrative, the lack of such text-based exposition tools, and even the reliance on serialized continuity. With the comics industry bemoaning the death of floppies and a continual drop in their overall consumer base, perhaps they should revisit the older comics for the techniques they employed for bringing in readers and helping them through the stories. Just as long as they do not include the silly language, outdated moralities and stereotyped representations. Some things deserve to remain in the past.